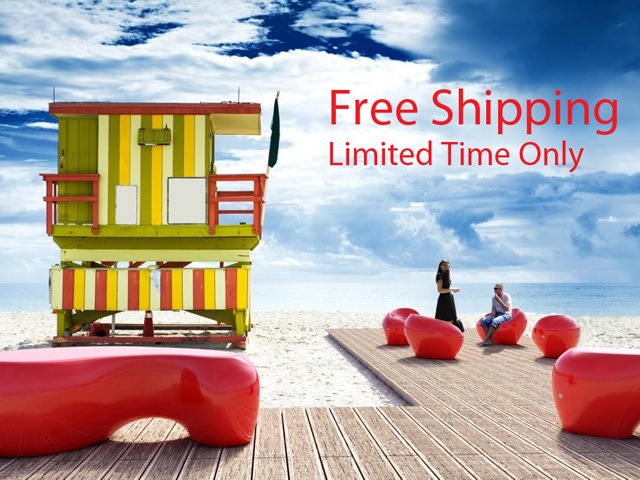 Moodie is excited to bring you the latest offering from Bellitalia Street Furniture � The Organics Range � and is offering free shipping for a limited time. The creations of the Organic range were born from the talented Czech artist Matous Holy. Originally, he used an organic material like soil in order to shape his idea of LIVING street furniture. 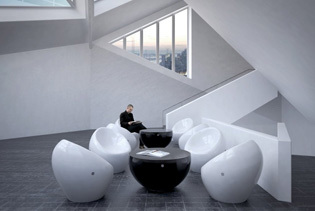 All the Organic pieces of furniture are provided with dynamic lines to fit into different settings in a harmonic fashion. Polyurethane paintings from the automotive industry are used for finishing, they grant a long pigmentation lifespan and lend all the pieces of street furniture an original gracefulness. 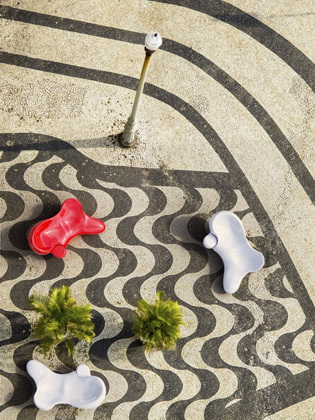 Products from the Organic range are designed by using 3D modelling software for designing street furniture products, manufactured using aggregates coming from local suppliers and are poured in resin moulds. After curing in mould, their surfaces are double treated - firstly by means of an epoxidic varnish coating choosing among Flame Red RAL 3000, Jet Black RAL 9005 or Pure White RAL 9010; and secondly through polyurethane paintings, the same used for the automotive industry. 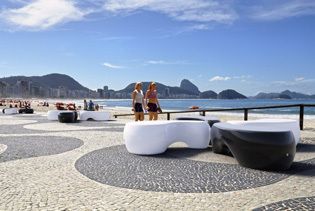 All items are available also in white granite painted with anti-decay coatings; in this version seat surfaces are smooth formwork while side surfaces are finely bush-hammered. All Organic items are equipped with attaching points by means of threaded steel axle boxes where ropes are hooked up. After the installation, all the attaching points are sealed with Bellitalia company aluminium plates. For a limited time only Moodie Outdoor Products and Bellitalia are offering free shipping from the factory in Italy. To take advantage of this great offer and to find out more about the Organics range, contact Moodie Outdoor Products today on 1300 666 343.